Wow! 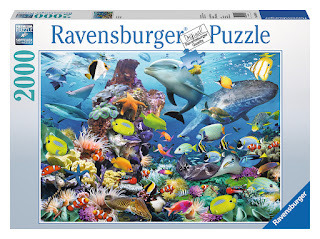 These puzzles are truly magnificent and I love the underwater ocean scenes! I know I would have to clear my dining room table to assemble one of these masterpieces, but I am quite tempted now that you have told me they have one of the Sistine Chapel. Actually, I am tempted by several of them. 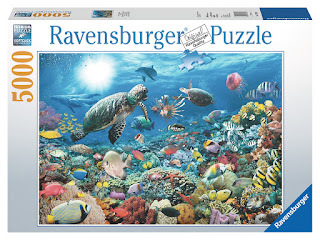 I would love to make the Disney Memorial Moments puzzle and the underwater scenes. I do love puzzles although I haven't worked on one in years. I think they are a great way to relax and test your skills. It sound like you need a bigger table Dawn! Thanks for a great review. 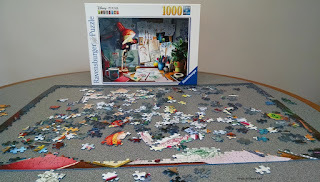 We once had a jigsaw puzzle going -- one after another -- for an entire year. They are impossible to walk by without putting in a few pieces and are such a relaxing, fun activity. These are beautiful puzzles you've featured here. It just may be time to get out my card table and start in on my collection of puzzles again. 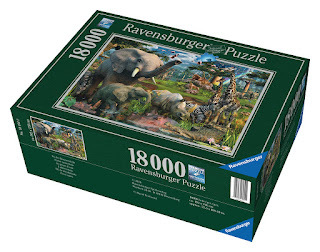 Forgot to say -- I LOVE the bigger puzzles -- never do one less than 500 pieces and usually 1,000 pieces. Those 2,000 piece puzzles would be a fun challenge. I love puzzles, but it's been ages since I've had the leisure to work one. I used to love working puzzles with my kids. These look like really gorgeous puzzles. 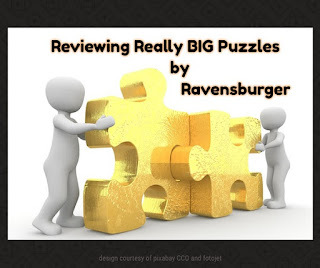 Quality is important, and these puzzles seem to have it.